This classic French onion soup is the epitome of rustic French comfort food. Most people think of French onion soup as “restaurant food” but it actually originated as a simple peasant dish made from onions, stale bread, and water. Modern versions of onion soup are more elevated but it’s still easy to make at home. The key to success is patience. The onions need to be cooked slowly so that they sweeten and turn a rich brown color without burning. Making French onion soup takes about an hour and requires frequent stirring so it’s the perfect recipe for a cold and lazy weekend. Once I get the onions going, I like to pour myself a glass of wine, call a girlfriend, and putter around the kitchen. In addition to giving the onions the proper time and attention, I use a few little tricks I picked up while working in a French restaurant, like adding a bit of sugar to enhance the sweetness of the onions, stirring a bit of flour into the onions to add to add body to the broth, and topping the croutons with both Gruyère and Parmigiano-Reggiano. If you don’t have ovenproof crocks for the soup, don’t worry. You can just top your soup with melty cheese toasts or serve them on the side. And if you want to get a head start, go ahead and make the broth and toasts several days ahead of time. When it’s time to eat, simply top the soup with the toasts and cheese and flash the crocks under the broiler. To begin, in a large Dutch oven or soup pot, melt the butter over medium heat. Add the oil, onions, salt, pepper, and sugar. Cook, stirring occasionally, until the onions are deep golden brown and caramelized, 45 to 55 minutes. In the beginning, you will only need to stir the onions only occasionally. As they start to brown midway through cooking, you’ll need to stir them more frequently. Also be sure to scrape the fond (or brown particles) from the bottom of the pan. Add the wine and raise the heat to high. Cook, stirring with a wooden spoon to scrape any fond from the bottom of the pan, until almost all of the liquid has evaporated and the onions are jammy, 8 to 10 minutes. Cook for about one minute to dissolve the flour. Add the broth, Worcestershire sauce, thyme, and bay leaves to the pot. Bring to a boil, reduce the heat to a simmer, and cook, covered, for about 30 minutes. Add the sherry, then taste and adjust seasoning if necessary. If the soup needs a deeper flavor, try a few shakes of Worcestershire sauce. If it’s not quite sweet enough, add 1/4 teaspoon sugar. While the soup simmers, preheat the oven to 400°F and set an oven rack in the middle position. Arrange the baguette slices in a single layer on a baking sheet. Bake until the bread is dry, crisp, and golden at edges, about 10 minutes. Set aside. Adjust an oven rack 6 inches from broiler element and heat broiler. Set individual broiler-safe crocks on a baking sheet and divide the hot soup among the crocks. Be sure the soup is very hot as it won’t warm up much in the oven. Top each crock with 1 or 2 baguette slices (do not overlap slices). Sprinkle evenly with Gruyère and then Parmigianno Reggiano. Let the French onion soup crocks cool for a few minutes before serving. In a large Dutch oven or soup pot, melt the butter over medium heat. Add the oil, onions, salt, pepper, and sugar. Cook, uncovered, stirring occasionally with a wooden spoon, until onions are deep golden brown and caramelized, 45 to 55 minutes. In the beginning, you will only need to stir the onions only occasionally. As they start to brown midway through cooking, you will need to stir them frequently, scraping the fond (the brown particles) from the bottom of the pan. If the onions are browning too quickly, reduce the heat slightly or add a few tablespoons of water to deglaze the pan and continue cooking. Add the wine and raise the heat to high. Cook, stirring with a wooden spoon to scrape any fond from the bottom of the pan, until almost all of the liquid has evaporated and the onions are jammy, 8 to 10 minutes. Add the broth, Worcestershire sauce, thyme, and bay leaves to the pot. Bring to a boil, reduce the heat to a simmer, and cook, covered, for about 30 minutes. While the soup simmers, preheat the oven to 400°F and set an oven rack in the middle position. Arrange the baguette slices in a single layer on a baking sheet and bake until the bread is dry, crisp, and golden at edges, about 10 minutes. Set aside. When the soup is finished, add the sherry; taste and adjust seasoning if necessary. If the soup needs a deeper flavor, try a few shakes of Worcestershire sauce. If it's not quite sweet enough, add 1/4 teaspoon sugar. Make-Ahead Instructions: The soup can be made and refrigerated up to 3 days ahead (without toasts or cheese), or up to 3 months ahead and frozen. Toasts can be made (without the cheese) and kept sealed at room temperature for up to 3 days. I made this recipe a couple weeks ago. It was delicious without a lot of effort on a cool March day. I then forwarded the recipe to a friend because I knew she would love it too. Thanks jenn! I made this soup without the wine (we don’t use alcohol) and it was still absolutely delicious. I just added a tad bit of lemon juice at the end and the end result was phenomenal. This recipe is a new favourite in our household! I served it with the spinach & gruyère quiche and it made for an amazing weeknight dinner. Thank you Jenn! I’ve never made French onion soup before, but I decided to give your recipe a try. It was a hit. So delicious! My husband and I agreed that it was the best we’ve ever had. I eat vegan so I made some changes to the recipe. I used vegan butter, vegan worcestershire sauce (1.5 tsp), and vegetable broth. I had to cook my onions 1.25 hours to brown properly in my stainless steel pot which was okay with me. My husband ate his with the baguette slices and cheese. I ate mine without. I can hardly wait to make this again. Thanks! Hi Marsha, The mandolin shouldn’t make a difference. Did you by chance use a nonstick pan? French Onion soup is my absolute favorite and this one really hit the spot. It does take a while to caramelize the onions but it is so worth it. The final result was truly delicious and filling. As with all of Jen’s recipes I follow along exactly, and then make changes the next time if necessary. This is the only recipe I’d change slightly. Personally, I don’t Enjoy thyme so next time I’ll omit it. My husband loved it and even my 4 year old daughter couldn’t get enough. Can you make this with vegetable broth? OMG!!!!!!!!!!!!!!!!!!!!!!!!!!!!!!!!!!!! How absolutely magnificent! I made this for our delayed Valentine’s dinner and it was just heavenly. The house smelled delicious and the soup was beyond compare. My husband relished each mouthful. I will certainly be making this again and again. Jenn, thank you for yet another stupendous recipe. I will never know why some people don’t make meals themselves when there are such great recipes that are easy to follow. How do I give more than 5 stars??? Wonderful soup! So delicious, much better than many restaurants. Thanks for another keeper. Hello Jenn: when you say 8 oz of Gruyère or two heaping cups, which one is it? There are 8 oz. in one cup, 16 oz in two. I am a little confused with the measurements in your recipe. Can you please clarify? I couldn’t rate the recipe yet since I haven’t made it yet, but need to know the answer to my question. Thank you,. Hi Frances, 8 ounces refers to the weight of the cheese. It’s hard to find grated Gruyere, so you’ll need to buy an 8-ounce block of cheese. When you grate it, the volume will be about 2 heaping cups. Hope that clarifies! Made this tonight for my husband who takes his french onion soup VERY seriously and it was a hit! I found it to be a little too sweet – maybe skip the sugar next time – but he loved it. The onions hadn’t carmelized after cooking for 45 minutes so I had to turn the heat up to medium high to get that going; I’d say that srep took closer to an hour and 10 minutes. But we’ll definitely make again. Thanks Jen for a great recipe. Made a couple of changes did not have gruyere cheese so I use Fontina cheese and use croutons instead of the bread. We always order french onion soup at restaurants but to me this was the best one ever. After searching and experimenting with other recipes, my search ends here because this one is perfect. I followed the recipe exactly except for the sherry because I didn’t have it. This is not a quick dish to make, but its enjoyable and the results are well worth it! The Revol soup bowls come in a variety of sizes. What size are yours? I would like to purchase but I want the right size. Thanks. Hi Ann, Mine are about 14 oz. Made this over the weekend and it was wonderful, didn’t deviate from the recipe except to add a touch more thyme and Worcestershire sauce. My hubby is used to the kind you mix out of a box and loved the “meatiness” of the onions. He also said how the box kind is so salty when he compared it to mine. All in all, it was a fantastic soup and I don’t think he’ll eat the box stuff again! You converted him Jenn! Thank you! So excited to try this!! Question: how much soup do you ladle into each bowl? Hi Asra, It really depends on the size of the bowl. You want the soup about 1 inch from the rim. Enjoy! Cognac would be wonderful – or you can just leave it out. Hope you enjoy! I made this last night and it was amazing! I think it was even better than the French Onion Soup we had in Paris last summer. My daughter made the Rustic French Apple Tart (from your site) and we had a very special meal on an ordinary Sunday. Thank you another great recipe! French onion soup is one of my favorites. I’ve attempted several recipes for it in the past with indifferent results. I followed this recipe to a T, including the boxed beef broth, and the result was spectacular. My husband swooned. I licked my bowl. I intend to try the recipe again with the chicken stock that so many reviewers recommend, but Jenn’s recipe is such a winner that it’s hard to imagine how it could be better. Wow, this sounds delicious. I was just wondering if you can recommend a brand/type of store to get dry sherry? Can you also recommend a good sherry vinegar, or are these the same thing? Thank you so much! Hi Natalie, No need to spend a lot – Taylor or Savory and James are both good brands for cooking. Can’t wait to try this recipe. Just like all of your other rec. that we’ve tried , I’m sure this one is as delicious ! Hi Lyn, I think I got them from Sur La Table. Hope you enjoy the soup! I am a vegetarian. Can I use vegetable stock? If you’re able to use beef or chicken broth, I’d recommend that, but if not vegetable stock will do. Enjoy! 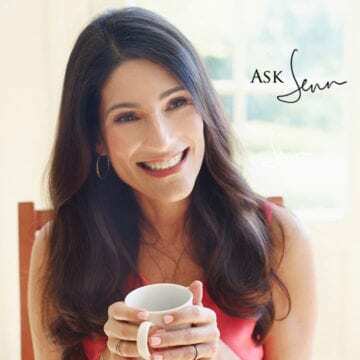 Jenn, Love your site and have made many of your recipes. Quick question, how long does Sherry last after you open a big bottle and do you refrigerate it after opening? Most receipes only call for small amounts of it. Hi Becky, That’s a great question. Conventional wisdom says dry sherry lasts for about a week in the fridge after being opened but I have found that it keeps much longer. I store it in the fridge for months without any issues (I wouldn’t drink it after that long but for cooking it’s fine). You could also try freezing it in cubes, as explained here. Hope that helps and glad you’re enjoying the site! I’m looking forward to trying your recipe with one change-I haven’t found a store beef broth I like and hardly ever make one, so I use chicken broth and a can of condensed beef consommé. It helps with making it mellow tasting. Your onion cooking tips make such good sense. Can’t wait 😊 and will come back to rate. A yummy recipe…..except that I caramelize the onions overnight on the low setting in my crockpot. No stirring or over-browning. Onions are ready for the soup or for any recipe which calls for caramelized onions. Hi J, It’s fine to leave it out. You might just add a tablespoon of lemon juice for a touch of acidity. Hope you enjoy it! Do you have nutritional values available? I am so happy that you posted this recipe today. 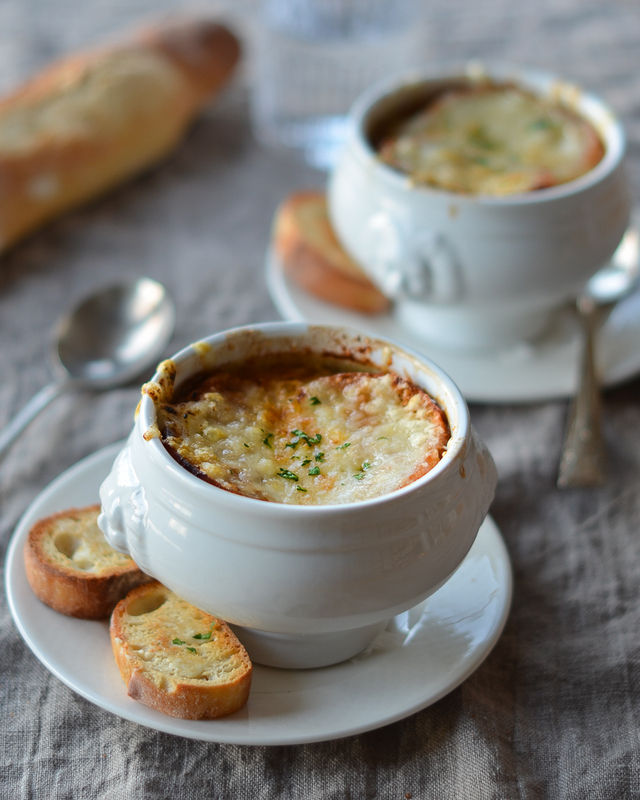 My family loves French onion soup, and I can’t wait to make this tonight! Thank you for always coming up with new inspirations. Question: I have had NO luck finding a commercial beef broth with any real flavor, so, unless I have a homemade beef broth (which is rare), I have been using chicken broth when making French onion soup. I will definitely be trying out your recipe; do you have any suggestions regarding substituting chicken broth? So happy I found you! Just received your new cookbook and I cannot wait to begin cooking! As to the beef broth in your recipe (see Kate 2/7/19 comment): there is a fantastic new product available from More Than Gourmet called “Kitchen Accomplice” concentrate which comes in the absolute most wonderful beef flavor (+ chicken, vegetable, even bone broth!). It is a professional chef grade product and the concentrate makes the equivalent of like 27 boxes of broth. There is such authentic beef flavor you will be amazed. 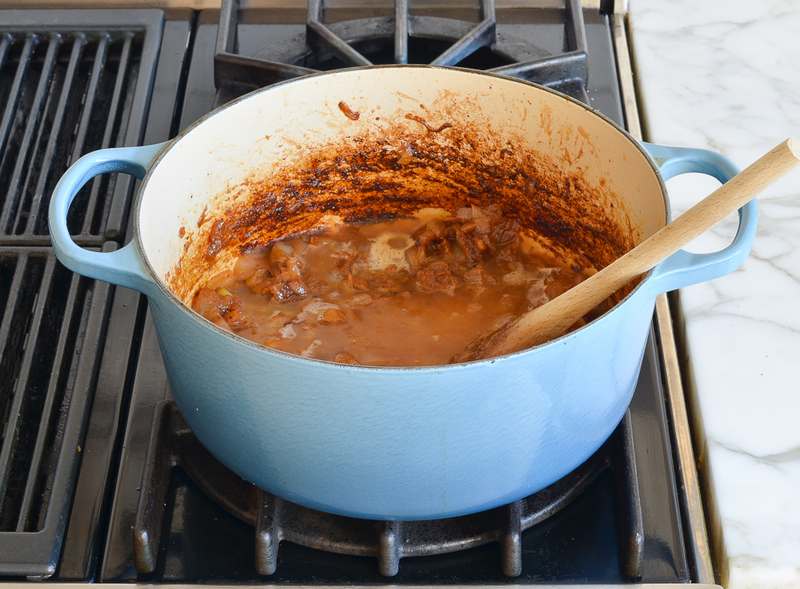 It elevates anything you use it in — I squirt a teaspoon in anything I’m making that is beef, like Stroganoff or Stew. I gave some Kitchen Accomplice as a gift to a gourmet cook friend of mine, and she can’t stop thanking me for discovering it and sharing this secret weapon with her! I have nothing to do with the company, I’m just a customer of the web site and a huge fan because it is such an outstanding product (and the convenience is that once opened, it lasts six months in the frig!). I do hope you’ll give it a try; it made this soup so rich and deeply flavorful, and I used it in place of adding more Worcestershire. I also use many stock and sauce products from More Than Gourmet, and if you’re not familiar with them I think you would be interested in this line; you can read all about them online). Hope it is OK that I shared this. Feel free to edit my review or not publish at all; I really just wanted to pass this along to YOU! Thanks again! 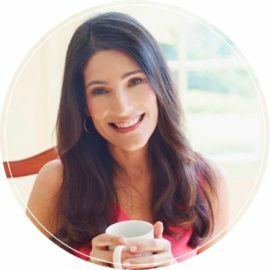 This is great info, Nancy – thank you! I LOVE to make stock for FO soup w/the leftover liquid/broth from the classic slow roasted chuck roast w/onion soup mix, potatoes, onions, celery, mushrooms, and carrots. I add extra water to the crock pot so I will have more liquid to use as stock to make the FO soup. I strain out any tidbits of meat and veg, and chill overnight so I can skim off any fat. The flavor from the simmered vegetables w/the beef makes it sooo good! It makes all the difference in richness and flavor. It also freezes well, because I agree, homemade French Onion soup is a lazy day puttering project! Salad croutons also make for a great substitute when you don’t have a baguette on hand. That living in the country thing again! This almost exactly matches the recipe I use all the time, and it’s excellent. The only difference is that I use homemade chicken stock, instead of beef broth. The result is very close to the beef broth, but the chicken stock is more available to me, and it allows the onions to shine.